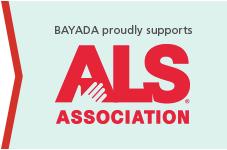 Do you have questions about BAYADA services for people with ALS? Fill out the form below and an ALS Program specialist will get back to you with more information. If you are a nurse or a home health aide who is interested in providing specialized care for people with ALS, please fill out the form below.